Hunter S. Thompson’s Rum Diary Finally Gets A Release Date!!!! HOOOOORAY!!!! 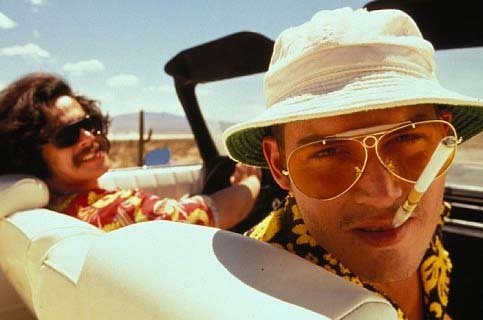 Fans of Fear and Loathing In Las Vegas can jump in the air and rejoice. Another Johnny Depp/Hunter S. Thompson film is coming. Film District is finally releasing Hunter S. Thompson’s Rum Diary based on his book of the same name. It follows a journalist (Hunter) from the big city of NYC where he travels to Puerto Rico to get away from the rat race of the big city only to become involved with a married woman and her crazy husband. The release date will be October 11, 2011. Mark this date in your calendars. It will be a sight to see. Also read this great letter written by Hunter S. Thompson to the studio about not getting this film released when it should have been. Check Out The Latest Trailer For Roald Dahl’s ‘The BFG’!!! Film Review: ‘For No Good Reason’!! Movie Company Buys Rights To Comedy Book ‘How To Defeat Your Own Clone’!!! This entry was posted on Thursday, March 31st, 2011 at 12:28 am	and is filed under Film, News. You can follow any responses to this entry through the RSS 2.0 feed. You can skip to the end and leave a response. Pinging is currently not allowed. « Batman Will Be Rebooted After The Third Batman Film!!! !